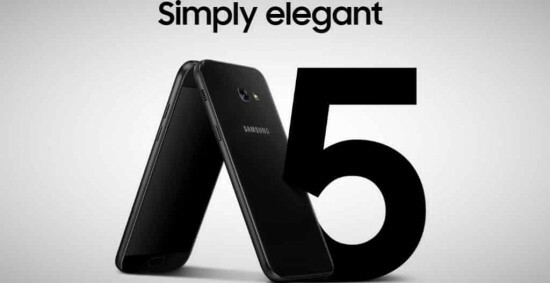 Recently on Friday, Samsung has officially announced the release of its new 2017 A series smartphone line in Pakistan during an event in Lahore. During the event, Samsung Pakistan’s president J H Lee and Mobiles for Pakistan and Afghanistan’s head Umar Ghuman were also present. Several changes are introduced by Samsung after release of its 2017 A series smartphones especially their resistance to water and dust. IP68 dust and water protection rating is available in the A series smarphones of Samsung which means that the phone can be put under water at the depth of 1.5m for 30 minutes. A reversible USB Type-C connector is also available in the A series just like its flagship device. You will also get always-On display of these A series smartphones due to the presence of Super AMOLED display. But LED notification light is not present in these smartphones. Here below, we will provide details of all the 3 newly announced smartphones of 2017 A series. The A3 2017 is the smallest and cheapest smartphone out of the total 3 smarphones revealed now. It has 4.7” screen display with 312 ppi and 720 x 1280 pixels resolution. The internal memory is 16 GB that can be expanded up to 256 GB via microSd card while RAM is 2 GB. 1.6 GHz octa core processor is empowering the A2 2017 smartphone. You can get the device at price of Rs. 37,500 from all the leading online and retail stores. It is the mid level smartphone as compared to other two of the series. It has 5.2” screen with amazing 424 ppi due to 1080 x 1920 resolution. It is powered by 3 GB RAM and 1.9 GHz octa core processor. It also has impressive 32 GB internal memory which can further be expanded via microSD card up to 256 GB. 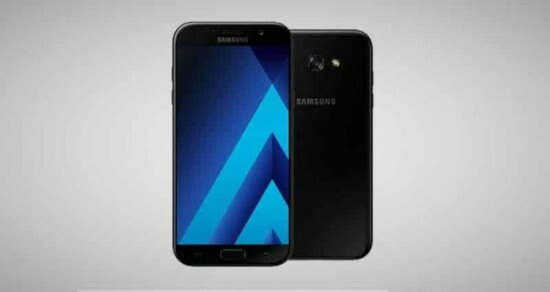 The price of Samsung Galaxy A5 2017 is Rs. 47,000 and it is available at all the leading retail and online stores. Apart from screen and battery, the Galaxy A7 2017 hasn’t much to offer different from A5 2017. It has a 5.7” full HD Super AMOLED screen display and 3,600 mAh battery. Apart from these two things, all the other features are almost identical to A5 2017 and you can compare them through the specifications given below. At the price of Rs. 55,000, you can purchase the Samsung Galaxy A7 2017 from leading online and retail stores. There are few very high quality features in all the smartphones of this new A-series. We are expecting a very huge success for this new A-series by smartphoen due to the inclusion of an advanced software, fingerprint scanners, water & dust proofing, superb cameras and Type-C. The 2017 A series have several improvements as compared to models of previous years and these smartphones should be the first choice for those wanting to purchase new smartphones. Out of the three smartphones presented above, the middle one (Galaxy A5 2017) seems to be the best one as it has much better features than A3 2017 and slightly less than A7 2017 which means that you will get the perfect phone for your money. Though, A7 2017 has larger screen size and battery but the user experience is lower due to extra large screen lesser pixel per inch factor. The A5 2017 has the perfect screen of 5.2”. But it’s up to you whether you are contend with the economical A3 model or you want the A7 2017 screen with larger screen and bigger battery.